A reliable source for Hydraulic Motors information and a resource for accessing leading Hydraulic Motors and suppliers. Industrial hydraulic motors, sometimes called hydraulic fluid motors, are motors that use the concept of hydraulics in order to generate a force that can be used to power numerous applications. The study of hydraulics says that, because most fluids are incompressible, if a fluid is placed inside a closed system and then force is applied to it, at some point, this force will move through it to another point. Hydraulic Motors Industrial hydraulic motors, sometimes called hydraulic fluid motors, are motors that use the concept of hydraulics in order to generate a force that can be used to power numerous applications. 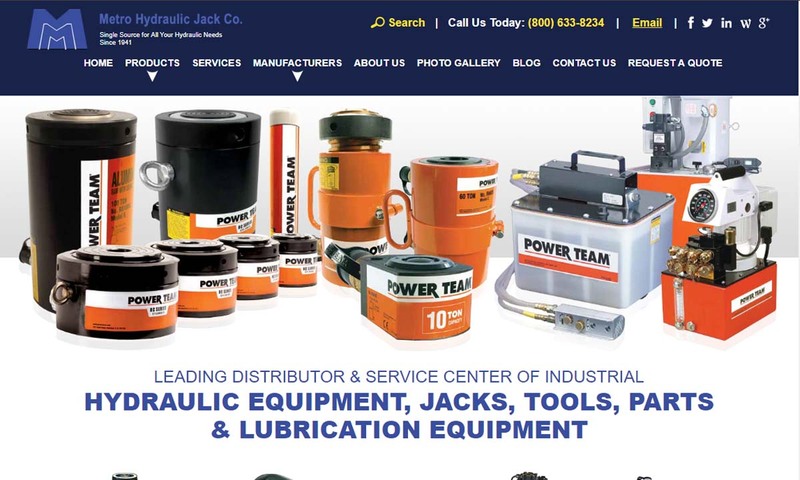 It is our goal that we are able to maintain our position as one of the leading producers and manufacturers of hydraulic motors and that we may provide our products to an ever growing customer base worldwide! 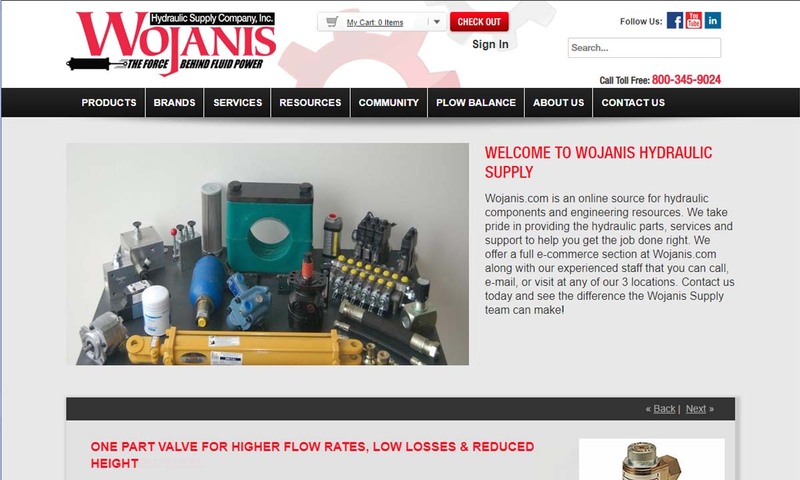 Wojanis Supply Company is a total fluid power facility encompassing sales, service, design and manufacturing capabilities for a full line of hydraulic motors, pumps, valves and integrated systems for a range of applications. 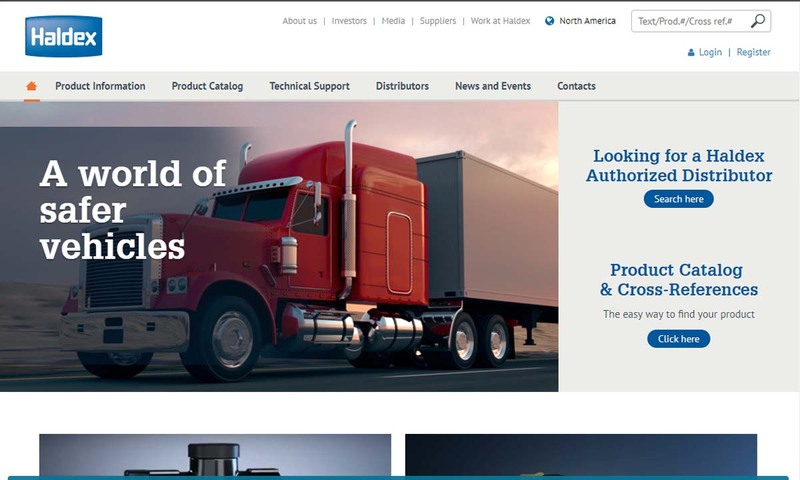 Haldex is a global provider of vehicle solutions, including hydraulic pump motors, hydraulic power units, gear pumps and fan drive pumps as well as AC/DC motors. 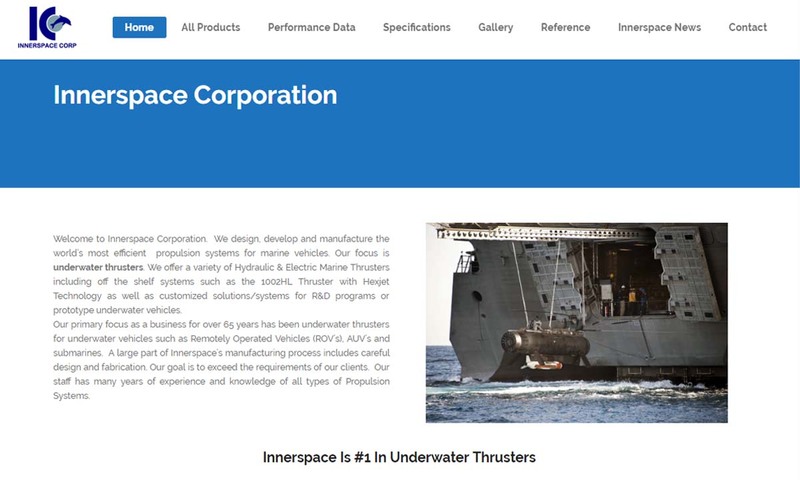 Founded 40 years ago, Innerspace designs, develops and manufactures top-quality, efficient propulsion systems for marine vehicles. Our product capabilities include hydraulic products such as hydraulic motors and customized hydraulic systems. Broadly, hydraulic motors serve the construction, automotive, agriculture, forestry, manufacturing, military, waste management and recycling, aerospace, marine, and oil and energy industries. They are designed to serve equipment and machinery that need strong pressurized actions to power their functions or parts of their functions. These are functions that could not be supported by the lesser power produced by electric motors. Hydraulic motors, for example, help raise the wing flaps of airplanes and power the lifting of industrial cranes. Some other of the many machines with which customers use hydraulic motors include agitator and mixer drives, crane drives and self-driven cranes, conveyor and feeder drives, drilling rigs, cars and trucks, drum drives for digesters, high-powered lawn trimmers, the wheel motors of military vehicles, shredders, trench cutters, trommels, kilns, excavators, marine winch drives, and plastic injection machines. The first hydraulic motors were born during the Industrial Revolution, when industrialist William Armstrong started working on ways to make hydraulic power more efficient. One of the first results of his efforts was his invention of the water powered rotary engine. While his contemporaries did not make much use out his engine, it did serve as an example of a working hydraulic powered rotary actuator upon which later inventors could build. Later, Armstrong designed the hydraulic motor used to the power the Swing Bridge positioned over the River Tyne. His oscillating, single action engine featured three cylinders. Over the years, Armstrong designed many different hydraulic motors, used to power machines like hydraulic cranes and applications related mainly to bridges and docks. Many of Armstrong’s designed wasted water because they used the same amount of water no matter the load size. This is because they featured fixed strokes and valves with cut-offs operators could not control. To remedy this, engineers such as Arthur Rigg began designing variable stroke hydraulic motors. Generally, operators were able to control water consumption and engine power by adjusting stroke. Arthur Rigg patented his engine design in 1886. It featured a three-cylinder radial engine, the stroke length of which operators could control using a double eccentric mechanism. Since the Industrial Revolution, engineers have learned ways to use hydraulic power more efficiently and to achieve greater feats. Modern hydraulic systems power hydraulic equipment and products like bulldozers, cranes, kilns, hydraulic lifts, metalworking machines, and much more. For the best results, manufacturers build the interior hydraulic motor components and main hydraulic motor enclosure from a durable metal, like steel or iron, that can weather both high operating speeds and pressure. In order to build the best hydraulic motor possible, manufacturers must take a number of factors into consideration, including the state of the relief valves, fluid reservoir, and hydraulic pump. All of these components must all be endowed with levels of strength, capacity, and power that matches the needs of the fluid that will go through them. This fluid, in turn, must be chemically stable and compatible with the metals with which the motor is made, and it must be a good lubricant. Some of the motor components that manufacturers can customize include torque (starting torque, torque output, breakaway torque, running torque, etc. 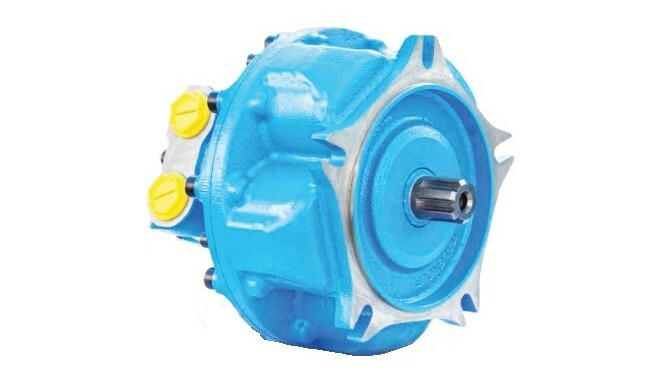 ), motor size, motor range, presence of pistons and shafts, pressure fluid level, and resistance rating. Hydraulic motors are constructed with a fair amount of simplicity. Its three main parts are the hydraulic pumps, reservoir, and cylinder. Of course, a hydraulic motor, or hydraulic pump motor, would be nothing without the addition of pressurized fluid, usually a type of oil. This hydraulic component creates motion by pushing against it so that the motor’s rotating components spin all the more quickly and generate mechanical energy. Hydraulic motors often also feature input shafts and output shafts. Shafts assist in operation by applying fluid energy to the load. To work, a small pneumatic engine pumps oil from the reservoir, where it goes from an inlet valve to an outlet valve and through a series of gears and cylinders or turning vanes, depending on the motor’s design. There are a few different types of hydraulic motors. The main ones, which are each named for the rotating component they use, are vane, gear, and piston hydraulic motors. Vane motors function using a rotor contained inside a housing with an eccentric bore, that has vanes that slide in and out of it. The sliding motion of the rotor vanes is created by a force differential brought on by an unbalanced force of pressurized fluid. While they are not as efficient as piston motors, vane motors are less expensive than piston motors. Gear motors, or hydraulic gear motors, consist of a driver gear and an idler gear. To generate power in a gear motor, high pressure fluid is forced into one side of the gears, where it flows around outskirts of the gears to the outlet port, where the gears then interlock and disallow the oil from flowing back out. Here, the gears rotate, generating energy. Piston motors may use an axial piston pump or a radial piston pump. An axial piston motor pump consists of an odd number of pistons, arranged in a circle around a cylinder block, to regulate fluid pressure and flow. A radial piston motor pump, on the other hand, use pistons mounted around an eccentrically-balanced center shaft, which either radiate inward or outward. In addition to the basic motor types, there are a few different types of specialized motors, modified for semi-specific applications. These include hydraulic wheel motors, high speed hydraulic motors, high torque hydraulic motors, and gerotor motors. Hydraulic wheel motors are built directly into wheel hubs, where they contribute the power the wheels require to rotate. Depending on the size of the machine and the power of the motor, a hydraulic wheel motor can control just one or multiple wheels. High speed hydraulic motors provide higher than normal amounts of power by converting hydraulic pressure fluid into force with an elevated number of rotations per minute. High torque hydraulic motors, on the other hand, achieve increased torque by running at low speeds, which is why they are often called low speed-high torque (LSHT) motors. Gerotor motors, or generated rotor motors, are motors that consist of an inner and outer rotor. These hydraulic motors can also work as pistonless rotary engines. Hydraulic motors offer their users a wide a range of benefits. These benefits include improved power transmission, efficiency, improved power transmission safety, and increased ease and simplicity of power transmission. In addition, hydraulic motors are much more powerful than electric motors of comparable size. They can also achieve high quality results even in a tight space; manufacturers are able to design compact hydraulic motors that use stroke lengths of less than an inch. A byproduct of this is the fact that they are very versatile. To keep your hydraulic motor running well and safely for years to come, you need to observe a few practices. First, check your hydraulic motor regularly for issues like motor input shaft or output shaft misalignment, motor displacement, dirty hydraulic fluid and internal leaks (check motor feed lines and the like). Second, treat your motor well by never operating it outside of its designed limitations. For example, do not push it beyond its designated load, speed, torque, temperature, and pressure. Exceeding your motor’s designed limits puts it at risks for issues like diminished internal lubrication (associated with excessive heat), single displacement reactions, and general malfunctions. Finally, for your own safety, always handle your hydraulic motor components with proper care. For example, never make direct physical contact with active hydraulic fluid. Not only could it burn you, but if it is under pressure, it could release with a damaging amount of force. Look to organizations like OSHA to guide you when it comes to handling of hydraulic motors. As we mentioned in the section above, you should always use hydraulic motors according to the guidelines of OSHA, or the Occupational Safety and Health Administration. OSHA puts out standard guidelines designed to keep you and your workers safe when operating machinery. You should also make sure your manufacturer builds your hydraulic motors in a way that supports OSHA requirements. In addition to OSHA guidelines, your hydraulic motors likely need to meet the standards of a variety of other organizations. The answer to the question of which organizations and guidelines depends on your industry, application, and location. For example, in the United States, some of the standards organizations most influential in the hydraulics motor industry include the NFPA (National Fluid Power Association), SAE (Society of Automotive Engineers), and ANSI (American National Standards Institute). The premiere organization used internationally is the aptly named ISO, or International Standards Organization. All industries and applications either have their own standards or, most commonly, adapt standards from organizations like these. To find out which standards you should make sure your hydraulic motors meet, talk to your industry leaders. If you are in the market for a hydraulic motor, you need to partner with a supplier that will drive you to success. Such a supplier will not only be experienced with a proven track record but will also offer you tangible advantages such as the ability to deliver high quality products within your budget, the assurance that they will work within your timeframe, the assurance that they will produce a product that meets your standard requirements, the ability to deliver to you, and the agreement to meet any post-delivery services you require (parts replacement, hydraulic repair, etc.). 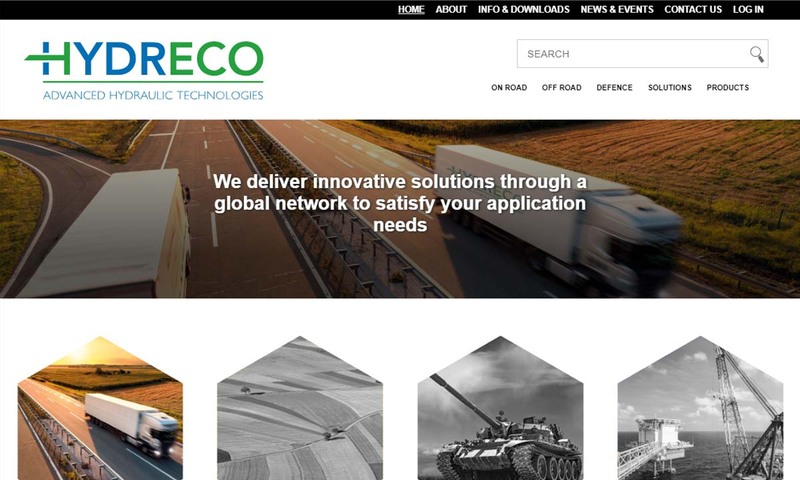 Find a supplier like this by checking out the hydraulic motor manufacturers we have listed on this page. All of those we have listed are highly capable hydraulic service providers that have proven themselves many times over.  Their information is dispersed evenly throughout the page, wedged in between our industry info paragraphs. For the best results, we recommend you pick three or four you believe have the potential to best meet your specifications, and then reach out to each of them individually to discuss said specifications. Once you have done that, compare and contrast those conversations, and pick the right one for you. Good luck!